About $523 million of the $1.092 billion paid for the controversial Malabu Oil Block (OPL 245) was shared out as bribes to some former ministers and politicians, investigations have shown. A former minister blew about $250million on real estate, aircraft and exotic cars, according to the probe. These details are contained in ll Fatto Quotidiano Newspaper based on the judgment of a Milan Court. The Milan judge on September 20, 2018 sentenced two men- a Nigerian, Emeka Obi and an Italian, Gianluca Di Nardo- to a four-year prison term. The convicts were rated as negotiators during the sale of controversial OPL 245. The details of the judgment were published a few days ago by the Italian newspaper. 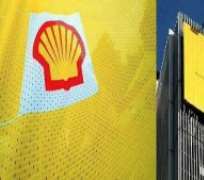 The judge also ruled that some top officials of Eni and Shell had a case to answer for allegedly being part of the scandal. The report said: “The OPL 245 affair began in 2011, when Eni and Shell seized the concession of a super-jam. But the money, which can banally be considered a river of money, flows into the private accounts of the Malabu company, of which the former Nigerian oil minister Dan Etete is a hidden partner. Money that wanders between Lebanon and Switzerland until it returns to Nigeria, in the accounts of ministers and local politicians who pocket at least $523 million. “For the judge, the $1.092 billion affair “seems of unprecedented gravity” not only because of the 'amount of money' used to bribe the public officials of the African country but also because the Nigerian state has been robbed of one of its most valuable assets. The report gave the details of how officials of Eni and Agip benefited from the huge bribe. It also explained how a former Minister blew about $250 million of the cash on real estate, cars and aircraft. It added: “The Deputy Attorney Fabio De Pasquale and the prosecutor Sergio Spadaro in the charges of the investigation, in fact, also indicated the so-called 'relegations' of the alleged bribe “to directors and executives of Eni”, referring to $50million in “cash” that would be delivered “at the home of at the time head of the Explorations Division of Eni, in Abuja, Nigeria. “Almost a million euros, then, on May 8, 2012 would be paid to a former Eni manager in the Sahara area. “And the alleged bundle of more than a billion 'about 250 million dollars' would be “seized” by a former minister to buy “real estate, aircraft, armoured cars”. “The two alleged convicted mediators, Emeka Obi and Gianluca Di Nardo, would have played an “essential role in the realisation of the overall criminal plan, of which the relegations in question are only a part of history. President Muhammadu Buhari recently rejected proposals from the Attorney-General of the Federation, Mr. Abubakar Malami (SAN) on how to resolve the impasse. Buhari insisted on continuation of the criminal proceedings against some suspects implicated in the OPL 245 scandal. The President has also directed the Minister of State for Petroleum Resources, Dr. Ibe Kachikwu and the Department of Petroleum Resources to stay action on the development of the oil well. OPL245 is an offshore oil block with about nine billion barrels of crude. It was auctioned for $1.3 billion (1.1 billion euros). Although the Government received only $210 million as Signature Bonus, about $1.092 billion was traced to a London bank account which was suspected to be slush funds allegedly used to bribe some middle men and politicians. A former President was accused of receiving about $200 million the oil deal.